Mercury conjunct Venus will happen on March 18th, 2017 at 12:26:43 UT (07:26:43 EST) in tropical Aries, sidereal and constellational Pisces. These two planets are never more than 76 arcdegrees apart, therefore they can only form the conjunctions, semi-sextiles, semi-squares, sextiles and quintiles but not the square, trine nor opposition. 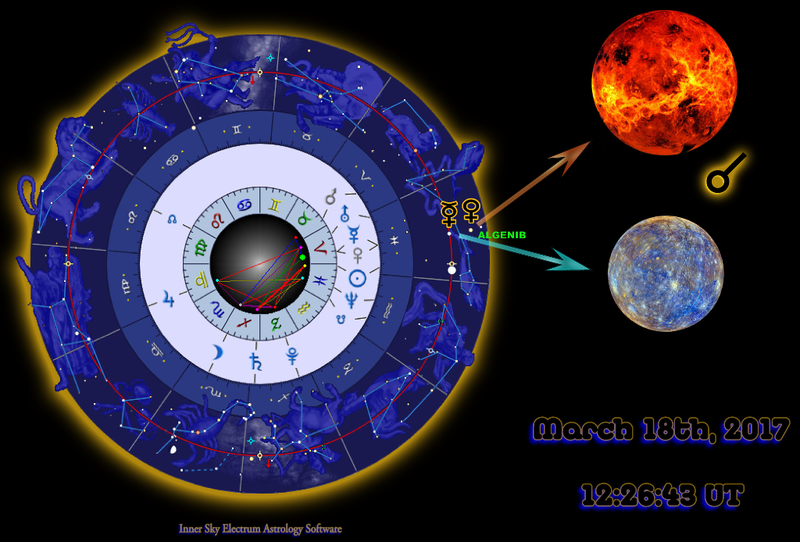 This entry was posted in Astrology, Metaphysics and tagged Astrology, Mercury, Mercury conjunct Venus, Venus on March 17, 2017 by Grandtrines.